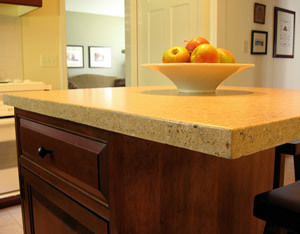 Concrete countertops are customizable for function, personalizable to your taste, versatile for almost any design, practical for durability and unique because each piece is hand-crafted. 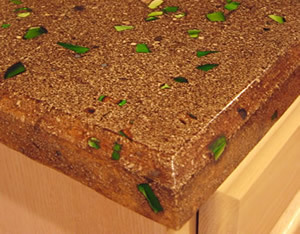 Other benefits of concrete countertops are that they are stain and heat resistant, low maintenance. The concrete tops have unlimited color options so you can have the unique, hand-made top that fits your needs.